Over the past few months, we saw Jamaica’s Peter Lloyd feature on BBC Radio for his cover of John Lennon’s ‘Woman’. Peter Lloyd is now gaining momentum and is already working towards his third full-length album to be dropped later this year. We had a chance to sit down with Peter for an exclusive interview on TheBestOfReggae.com. Hi Peter, how are you and what are you up to today? I am blessed and grateful for life love and music. I just concluded my morning routine; an hour of Yoga, ten mins of meditation, weight training, then my day begins—meetings, interviews, studio etc. In the afternoon, I pick up my daughter from school then it’s all about her. You did a cover of John Lennon’s ‘Woman’. What inspired you to cover the song? I am a huge fan of the genius in John Lennon. ‘Woman’, I believe is a great ode to women. I have always thought the track was REAL—no fairy tale romance, just a man speaking honestly about who he aspires to be, to the woman he aspires to be worthy of. It was a friend who knew my thoughts regarding this particular song by John Lennon who suggested I cover this classic. The track, now out, is being embraced globally by music consumers, industry persons, my peers and my Peter Lloyd Nation. I am happy and humbled. Praise Jah. Apart from John Lennon, what other artists do you really like and why? This answer may take forever. Donny Hathaway is my all-time favorite vocalist. Reggae icon, the late and great Dennis Brown is a remarkable vocalist, who alongside rock-steady great Alton Ellis revolutionized the way reggae artists sang; Beres Hammond and Jimmy Cliff’s songwriting skills; Bob Marley’s drive, discipline and power; Kendrick Lamar’s poetry; hip-hop icons Jay Z, Tupac, and Biggie Smalls; NWA’s lyrical flow, content and revolution; The Beatles’ sheer brilliance; Nina Simone, Strange Fruit—amazing artists. Rihanna’s style—how she connects, the Rolling Stones is amazing live, Michael Jackson—greatest performer, Prince—genius… the list is endless. I am continually hearing new artistes that positively impact me. I seek continued growth and to be the best me as a performer, artist, producer and songwriter. How did you meet Dean Fraser and how did you get to work with him? Dean Fraser and I met when I first entered the musical journey. Dean was open, helpful and giving. We have worked together on and off for many years. We use the word genius too often but in truth Dean is a genius. ‘Woman’ could not have been produced by anyone else for me. He brings out the best in everyone he works with. I consider Dean a teacher but also a brethren (friend). Do you have any funny stories from being on the road? Years ago, we were doing a tour across the island of Jamaica. One of the stops after the gig, one of the performers was accidentally left behind. As the tour bus pulled out it was funny as heck to see him running with his shoes in hand trying to catch the bus. He did, but it was really funny. Also from touring Germany a few years ago, we had a stop in Dortmund and it was raining like crazy—sold out show. In the middle of the set, I jumped and did a split. My pants ripped open in the crotch. It got breezy really fast… I have endless stories. A teacher. I love children, and I enjoy sharing with curious minds. I still think I do some teaching in my music. I hope my words and deeds conveys love. So we know you have just released your single, ‘Woman’. What have you got coming up that you think people should know about? Are we expecting an album or tour? ‘Woman’ is the first single from my third full length studio album that drops later this year. The album has not yet titled. We are also about to announce dates for my annual USA tour which happens in July. We are also contemplating a return and more extensive UK tour. I also have a soup kitchen project that I want to launch in Montego Bay, Jamaica this year and other projects that are in the initial stages. And finally, do you want to leave a message for our readers on The Best of Reggae? Know that you are special. Believe it. See it in your minds eye and strive to be the best you possible. I LOVE YOU ALL. 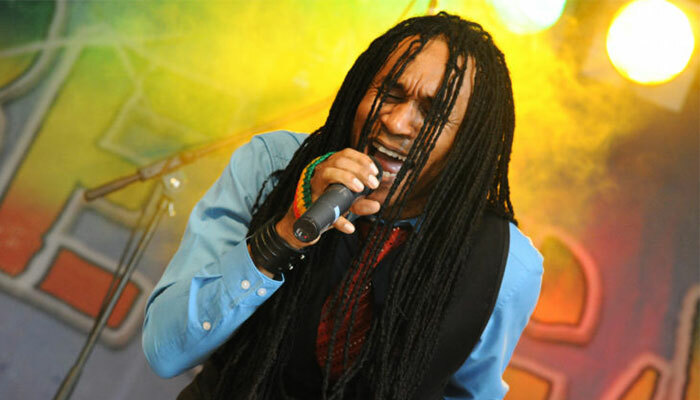 As featured on BBC Radio Leicester, BBC Radio Merseyside, Reggaeville, and Female First, international artist Peter Lloyd is well-known in Jamaica mostly for his music and also due to his notable acting career featuring in Walt Disney’s Return to Treasure Island, The Mighty Quinn starring Denzel Washington and Prelude to A Kiss starring Meg Ryan and Alec Baldwin. Peter Lloyd has also performed at dozens of festivals worldwide including Nottingham Carnival (UK), Reggae Jam (Germany), Jamaica Jazz and Blues Festival (Jamaica), One Caribbean Music Festival (USA), Sunrise Reggae and Ska Festival (Germany). A respected veteran on the stage both as an actor and singer, Peter Lloyd is currently one of Jamaica’s hottest recording artistes.